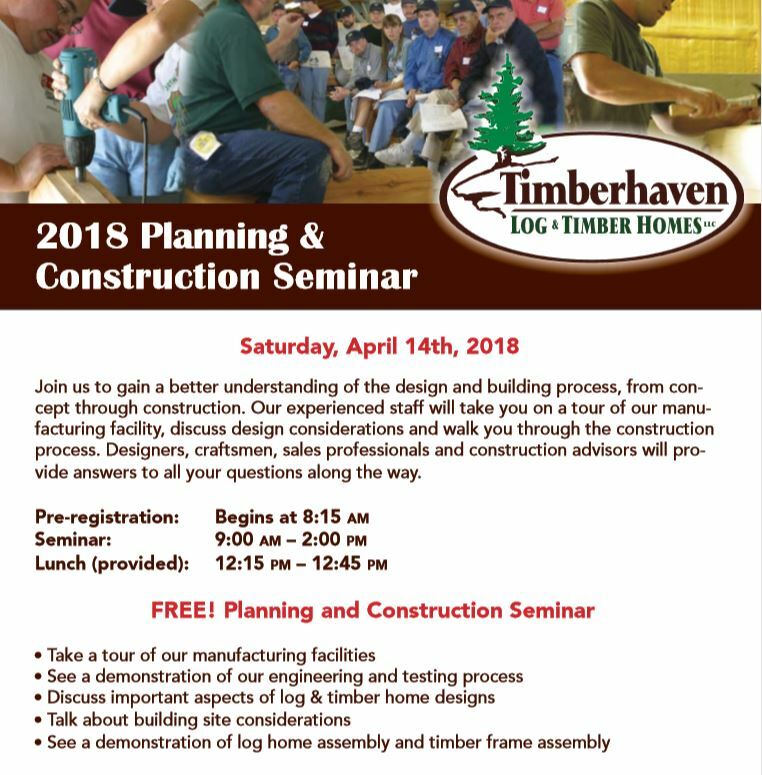 Reserve Your Spot at Our Spring 2018 Planning and Construction Seminar! Home→Announcements→Reserve Your Spot at Our Spring 2018 Planning and Construction Seminar! ← GET OUT OF THE COLD & INTO A COZY LOG HOME! Is a log or timber home in your future? Do you need help with selecting a floor plan or style of home? Are you considering building it yourself or have a builder do it? Do you want to learn how your log or timber home should be built? Then this is your opportunity to learn about log and timber homes as well as get any of your other questions answered. And, unlike many log home providers, THIS SEMINAR IS FREE and so is lunch! Where? Timberhaven Log and Timber Homes located at 1081 Salem Church Road, Middleburg, PA 17842 . To make your reservation, call us at 814-967-2206 or complete the registration form at the bottom of this page…it’s as simple as that!